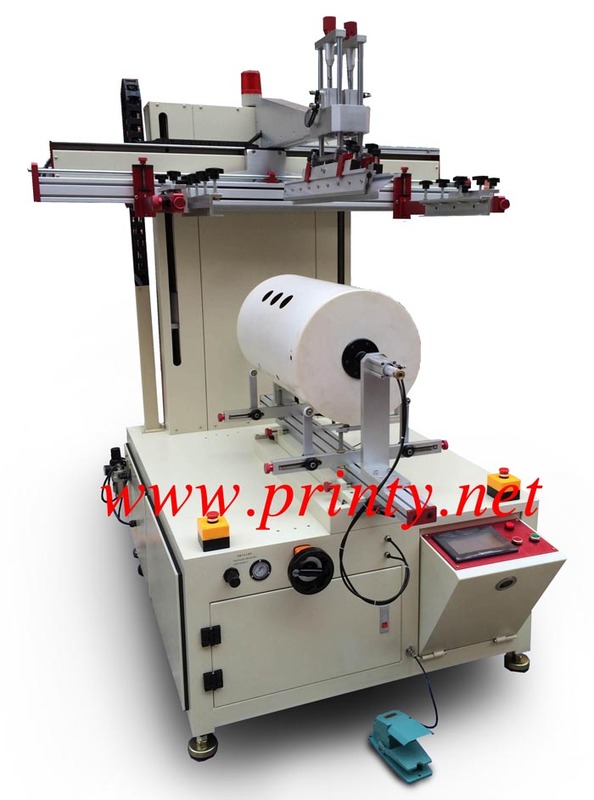 Professionally design manufacture and world wide supply Servo cylindrical screen printing machine,semi automatic multi color round screen printer,multi purpose screen printing equipment for big and small cylinders,pails,barrels,containers utility. It is our latest design, developed and most advanced screen printing machine equipment for big and small round and conic bottles, containers, buckets, barrels and pails etc. The product material can be plastic, metal, PP, PA, PET, glass, aluminum, steel, copper, paper, wooden and ceramic etc. Our multi function multi color servo screen printer print machine equipment built with strong body for heavy duty industrial round screen printing. Equips with touch screen,PLC and inverter control system. Its control system is reliable, low failure, low maintenance and easy to operate. The screen printing is operated by servo motor as the driving force with linear guide transmission components etc to achieve advanced digital settings. The rotation of round products also uses the servo motor to replace the conventional gearing system to meet the variable consistent of rotation and printing speed during the screen printing of curved products. The machine can be operated by manual or semi-automatic. Different size and purpose round screen printer printing machine equipment can be custom made.